Mackinaw Township is a General Law Township with a population of approximately 576 residents, There are 319 residents within the village and 257 outside the village limits. 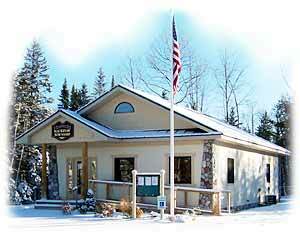 We are located at the northwestern tip of Cheboygan County along the Straits of Mackinac to the Mackinac Bridge. Limit: (1) Trailer or Pick-Up Load per Resident. Items accepted include: Carpets, Aluminum & Plastic Furniture, Mattresses, Wood & Metal Items no longer then 4 feet, Appliances, Appliances with Freon, Batteries and most anything not listed below. Items NOT ACCEPTED: Tires, Household and Yard Waste, Motor Oil or Other Liquids, Hazardous Waste, Paint, or any Materials Banned by State Law. See our archived meeting minutes page to browse our listing of the Township's Regular Board Meeting minutes. Note: Meeting minutes are assumed "unapproved" until the following meeting. Regular board meetings will be held on the third Tuesday of the month at 10595 Wallick Road.